May 11, 2015By Solbits Software Inc. Posted in: Finance, iTunes, Mac AppsTagged in: Finance, productivity, Solbits Software Inc.
Allocator puts you in the drivers seat of your investment portfolio. Never have any doubt that your hard earned investments are getting you closer to the retirement you want. Allocator demystifies the endless numbers that keep us guessing about our financial path. 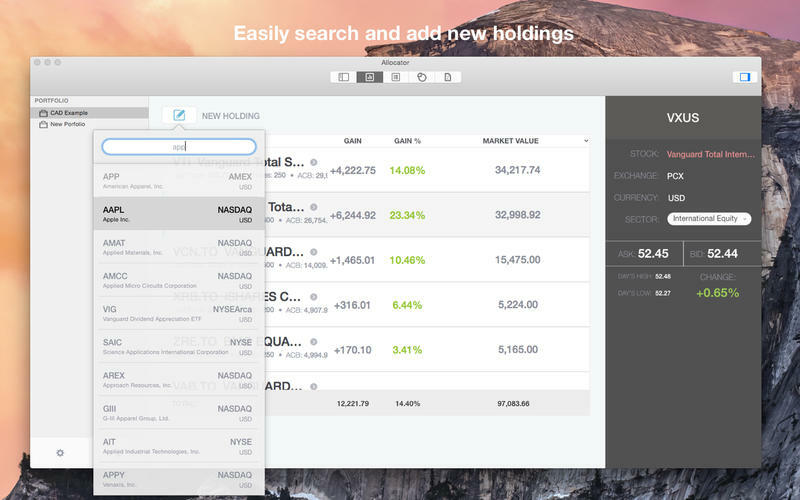 Take control with Allocator. Generate easy to use reports for income, transactions and performance. 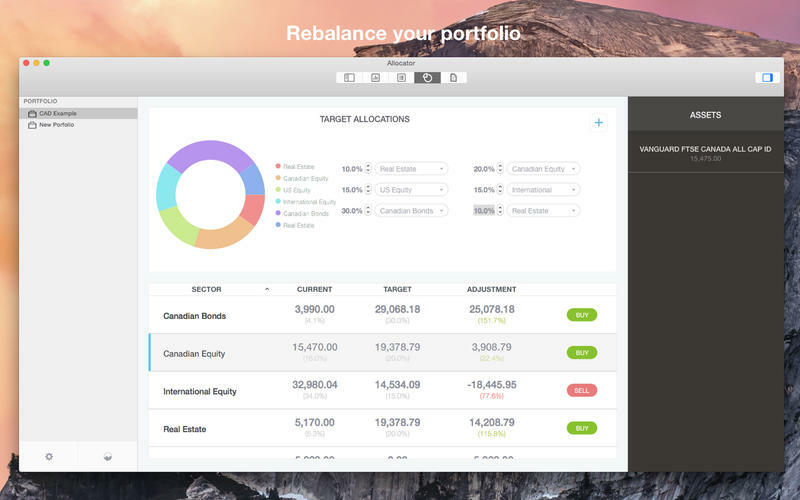 Track your portfolio using both Time Weighted and Money Weighted Return Rates. No two investors are alike. With Allocator you choose your sectors. Do you want to track US Equities as a whole or do you want it broken down to include small cap and large cap? With Allocator it is your choice. Are you a Canadian that has investments in US Dollars? 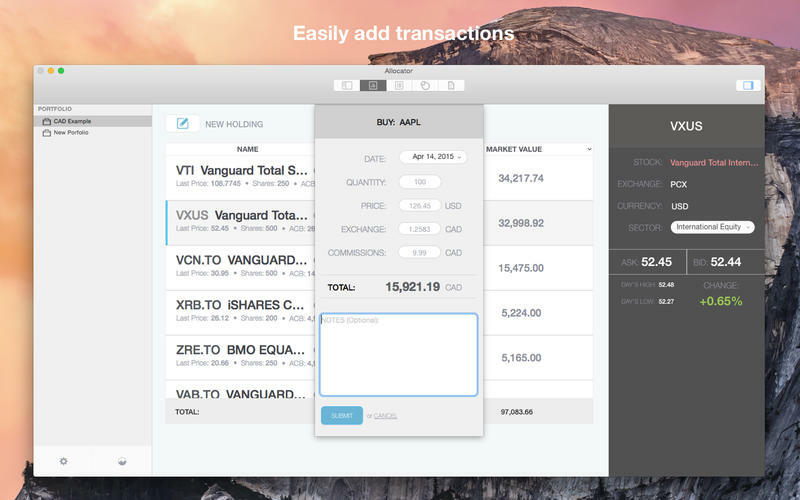 No problem – Allocator will convert over 35 foreign currencies back to your base currency so you can get a true snap shot of your portfolio allocation breakdown. © 2015 Solbits Software Inc.